The poster for Hotel Artemis. As a moviegoer, few things are as exciting as instantly being compelled by the world being built on screen—that feeling of diving into a whole new universe filled with unanswered questions and fascinating characters that, for the next two hours, you get to learn all about. The new film Hotel Artemis is like that. It sets up a world you’ll desperately want to know more about and see where the story leads. Ultimately, though, it struggles to pay off. 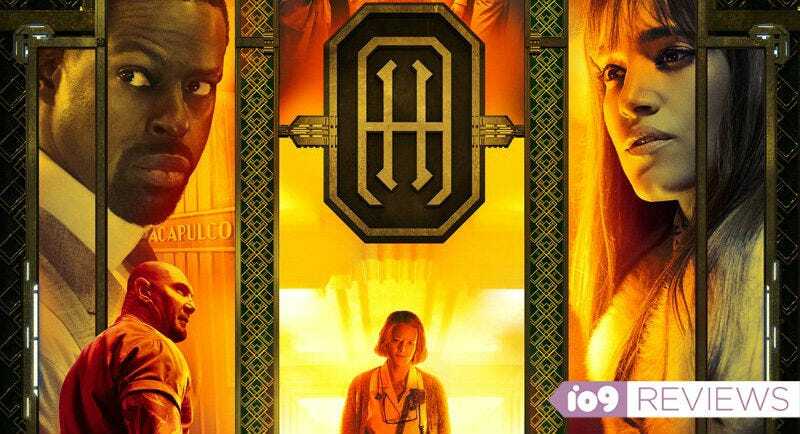 Written and directed by Drew Pearce, Hotel Artemis is set in a near-future Los Angeles where people have begun to riot over a water shortage. During the riot, crime surges, injuries mount, but a few lucky criminals can seek refuge at the Hotel Artemis. It’s an exclusive hospital for injured criminals with a very limited number of rooms, all of which are overseen by a single nurse, played by Oscar winner Jodie Foster. The nurse is wise, careful, and no-nonsense. But, when the hotel begins to get a little too full for her comfort, she’ll have to make some decisions that will shake her out of a long-standing comfort zone. A scifi crime saga starring Foster would be fairly intriguing on its own, but Pearce has assembled an equally impressive supporting cast around her. There’s Dave Bautista as Foster’s right-hand man and muscle, and Sterling K. Brown and Brian Tyree Henry play two criminals whose entrance to the Artemis gets the whole story going. 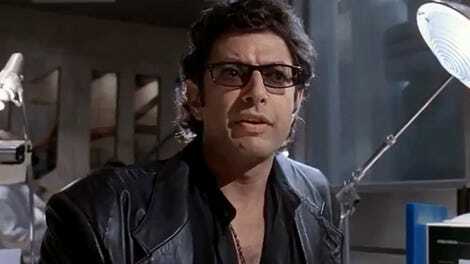 Charlie Day and Sofia Boutella play mysterious patients, Jeff Goldblum owns the whole place, Zachary Quinto is his son, and Jenny Slate plays a cop who makes the situation more complicated. Sterling K. Brown and Sofia Boutella get intense. The look of the film, from the cinematography to the sets, feels like an ultra lush and pulpy Los Angeles crime thriller with a scifi twist. The action, though sparse, is intense and kinetic. As the story unfolds, you’ll be on the edge of your seat waiting to see how Pearce will take everything he’s set up and bring it home in a satisfying, surprising way. And that’s where Hotel Artemis loses us. Pearce has created such an interesting world with such excellent characters and plot lines that by the time he reaches the end of his story, we can’t help but be a little let down. The ending works for the story but it just doesn’t come close to matching the potential and rising tension the movie has displayed throughout. It just feels a little too predictable and basic for such an excellent set-up. Dave Bautista goes from Drax to Everest, the muscle of Hotel Artemis. Hotel Artemis is a solid feature film directorial debut for Pearce—writer of No Heroics, Iron Man 3, and more—who exhibits a true talent behind the camera. It just so happens that this labyrinthian story may have been a bit too much for a first-time filmmaker to attempt. And yet, the world-building is so strong and the world so fascinating, if another movie came out with any of these characters, I’d be there in a heartbeat. Hotel Artemis opens June 8.